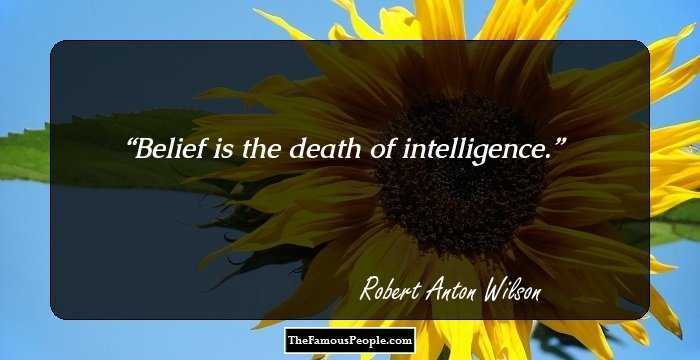 A collection of quotes and thoughts by Ken Wilber on truth, philosophy, psychology, polarities, unity, spirituality, hate, life, human, suffering and science. 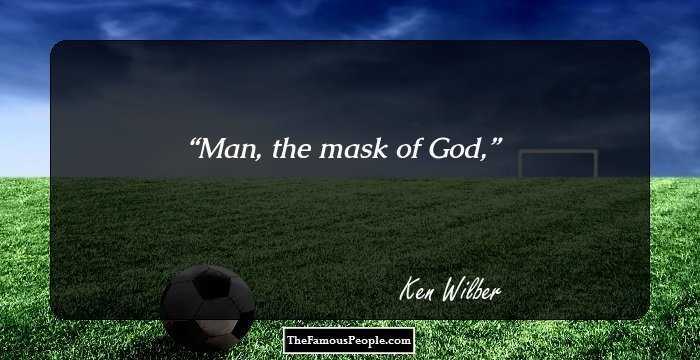 Ken Wilber is an American philosopher, and one of the most translated academic writers. 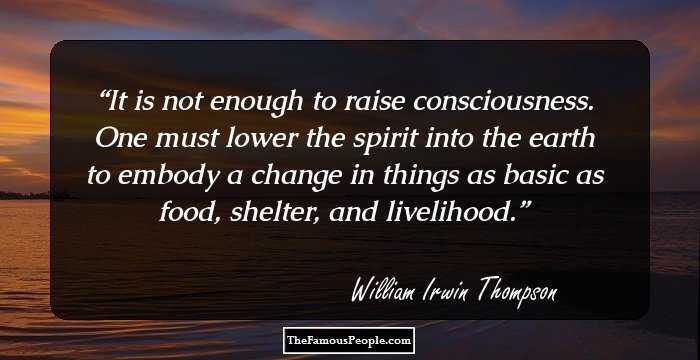 After completing his graduation he came up with his first book titled ‘The Spectrum of Consciousness’ where he blended spirituality with psychology. He further wrote various books on psychology that helped him gain reputation as a philosopher. His philosophy is believed to be influenced by Buddhism, particularly as propounded by Nagarjuna. He is known to develop the phenomenon of AQAL (“all quadrants all levels”) which forms the basis of his ‘Integral Theory’. This theory says that the experiences and knowledge of mankind can be described by a ‘four-quadrant grid’. This is acknowledged to be a comprehensive theory that describes the coherent relation between knowledge and experience. 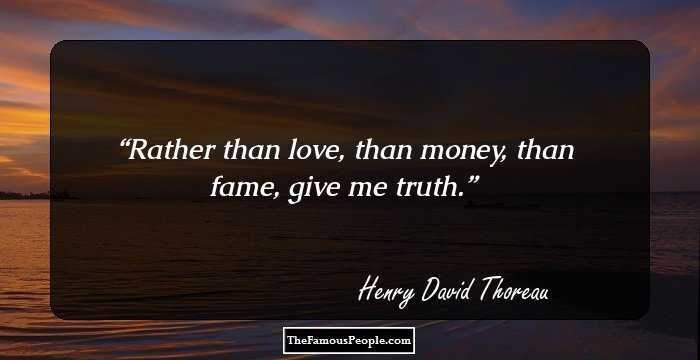 He has further described a few other theories including ‘Theory of Truth’. 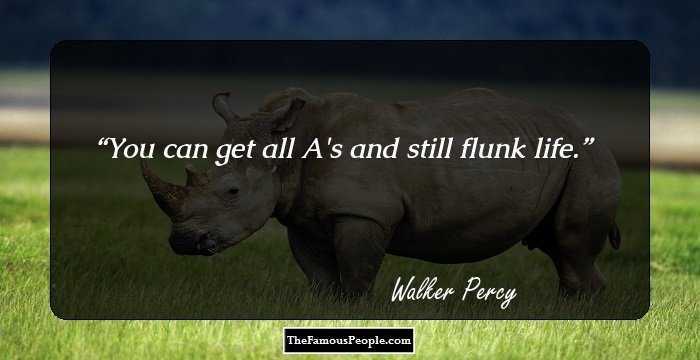 He has also remained in controversy for refusing the ‘Infinity Foundation Spirit Award’ as he believed that he should not be honored by people who do not understand his theories. We bring to you a compilation of quotations and sayings by the renowned writer which have been curated from the vast sea of his work. 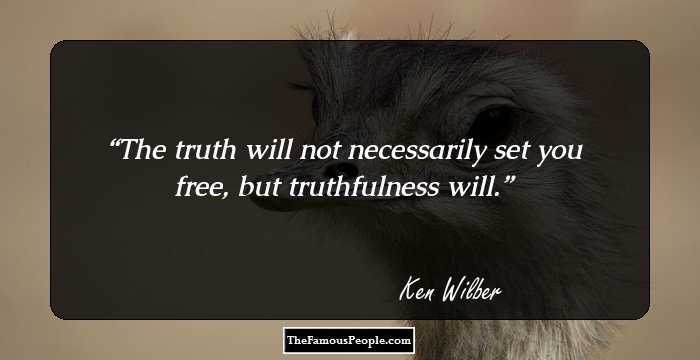 Take a look at the famous quotes and thoughts by Ken Wilber, in his own words that will give you a glimpse of his phenomenal mind. The truth will not necessarily set you free, but truthfulness will. 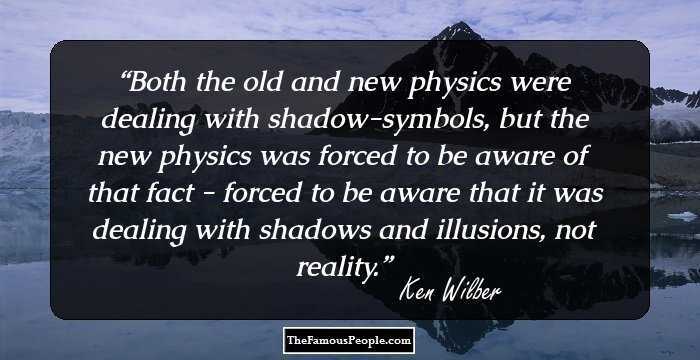 Both the old and new physics were dealing with shadow-symbols, but the new physics was forced to be aware of that fact - forced to be aware that it was dealing with shadows and illusions, not reality. 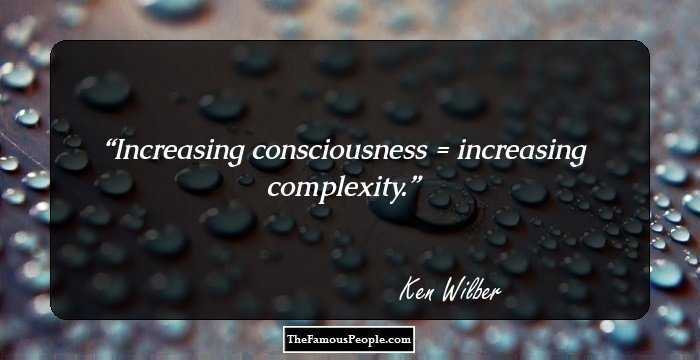 Increasing consciousness = increasing complexity. 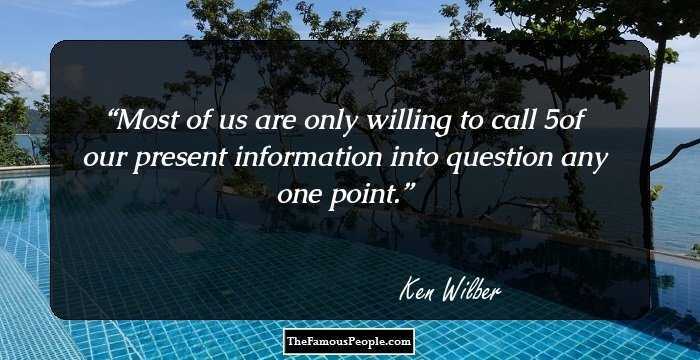 Most of us are only willing to call 5% of our present information into question any one point. This present moment, since it knows neither past nor future, is itself timeless, and that which is timeless is Eternal. 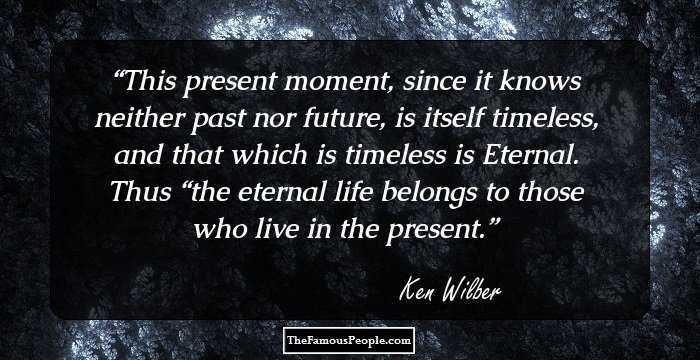 Thus “the eternal life belongs to those who live in the present. 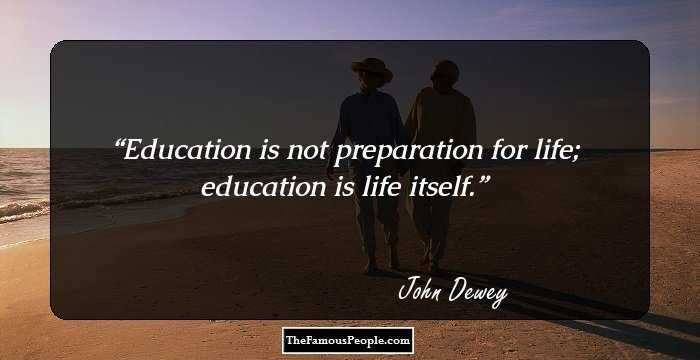 Eternity is not ever-lasting time but the real, unfading, indestructible, and timeless Present, for, as Schroedinger said, the present is the only thing that has no end. The adventure of awakening is among the most universal of human dramas. I was slowly learning that love did not mean holding on, which I had always thought, but rather letting go. The beauty of practice is that it transforms us so that we outgrow our original intentions—and keep going! Our motivations for practicing evolve as we mature. Between life’s stimuli and our habitual responses exists choice.